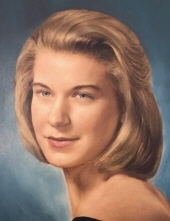 Mary Elizabeth "Molly" Ayre, of Gettysburg, passed away peacefully at home on Saturday, April 6, 2019, at the age of 71 after a long illness. She was born on October 31, 1947, the daughter of the late Mary and Bill Ayre and graduated from Gettysburg High School in 1965. She later attended Mount Saint Mary's College and began a career as a financial analyst in the Washington DC area, first with a financial services firm and then with TRW, Inc. where she spent the remainder of her career. In becoming a Certified Public Accountant, she carried the distinction of being a Sells Award honoree in recognition of her successful completion of the four-day CPA examination on her first attempt with an average test score for the four-part exam of 98 percent, placing her in the top 50 finishers out of a total of 96,000 aspirants who took the exam that same year. In her twenties, she became an active member of Alcoholics Anonymous and was a devoted and compassionate member of the AA community for the remainder of her life. Over that time, she helped dozens of people who sought to find their way to sobriety and she treasured the close and supportive relationships that she forged with her AA friends and supporters. She believed that AA saved her life and was profoundly grateful for the program and to all associated with it. She returned to Gettysburg from Northern Virginia to help care for her aging parents and her presence here brought an abundance of joy to them in their final years. Once back in Gettysburg, she reconnected with a number of high school friends and a very special teacher from that time and relished her movie, luncheon and dinner gatherings with them. She truly treasured her time with them and was deeply grateful for their companionship. She loved dogs beyond measure and cared for several throughout her life but treasured most a Dalmatian named "Patch". No doubt she is once again holding him in her arms. She loved watching movies, especially old classics, baking Christmas cookies, going to the Carriage House for crab cakes, talking politics, reading mystery novels, rooting for the Washington Redskins and the New England Patriots, telephone chatting and sending Christmas and birthday cards faithfully. On television, Jeopardy was a must, as was the Rachel Maddow Show and the Sunday morning political talk shows. She read the print version of both The Washington Post and The New York Times every day from front to back. Molly was an extraordinarily kind person. She was a loving daughter, sister and friend whose gifts of compassion and support for her family, friends and others were constant and limitless. Her personal courage and her concern for others, even in the face of her own illness and suffering, were calmly abundant beyond description. She is survived by her brother, Wes, a number of cousins whose support she has treasured and her splendid circle of friends. Funeral services will be held Friday, April 12, 2019 at 11:00 AM from Monahan Funeral Home, Gettysburg, PA. Interment will be in Evergreen Cemetery. There will be a viewing at the funeral on Friday from 10:00 AM until the time of the service. In lieu of flowers memorials can be made to the Salvation Army, 153 North Stratton Street, Gettysburg, PA 17325. Online obituary and condolences available at monahanfuneralhome.com. "Email Address" would like to share the life celebration of Mary "Molly" Ayre. Click on the "link" to go to share a favorite memory or leave a condolence message for the family.